September 11, 2018 4:16 pm. Prince of Caviar will wear blinkers at Bendigo as he attempts to break his maiden. Prince Of Caviar will race in blinkers in an attempt to break his maiden status at Bendigo. The second foal of unbeaten champion Black Caviar, Prince Of Caviar has finished fourth and second at his two racetrack appearances. Black Caviar’s first foal Oscietra was retired after five starts from which she registered two wins. After a debut fourth at Sandown in May, Prince Of Caviar finished second to Extra Brut in a 1300m Sandown maiden on August 29. Both jockey Luke Nolen and co-trainer Wayne Hawkes said Prince of Caviar looked the winner at Sandown but didn’t know how to put the race away. 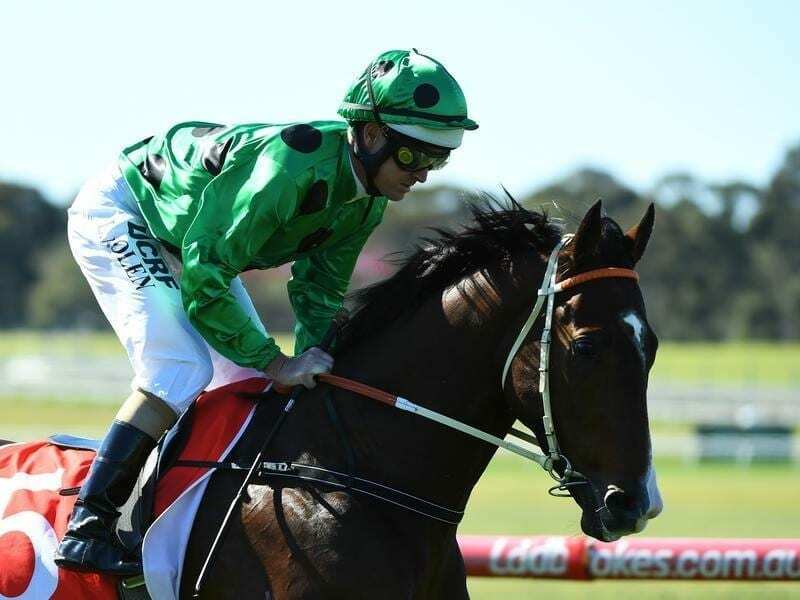 Hawkes said the addition of blinkers on Wednesday was in a bid to make the colt concentrate for the entire 1300m. “I don’t know whether it was completely necessary for him to have them on but we decided to put them on him to help him concentrate a bit more,” Hawkes said. Hawkes said Wednesday’s race would help Hawkes Racing decide whether the colt pushes on into the spring or was turned out for a break. The stable and Nolen have always felt the best of Prince Of Caviar will not be seen until he is an autumn three-year-old. Prince Of Caviar is the $3.30 second favourite behind the Lindsay Park-trained Mickey Blue Eyes at $2.50.